I’m always in the mood for a refreshing drink that doesn’t contain a ton of sugar. Lately I’ve been sippin’ on this awesome Iced Moroccan Mint tea. Its healthy, only slightly sweet and is equally delicious served iced or hot. Move over fancy coffee shop drinks; this Iced Moroccan Mint Tea recipe will definitely become a new fave. Step 1: Bring 8 cups water to a boil in a large pot over high heat. Step 2: Turn off water and add tea. Step 3: Cover and steep 4 to 5 minutes. Add mint to the pot. Step 4: Cover and steep 5 minutes more. Add sugar and stir to combine. Step 5: Strain into a large pitcher. 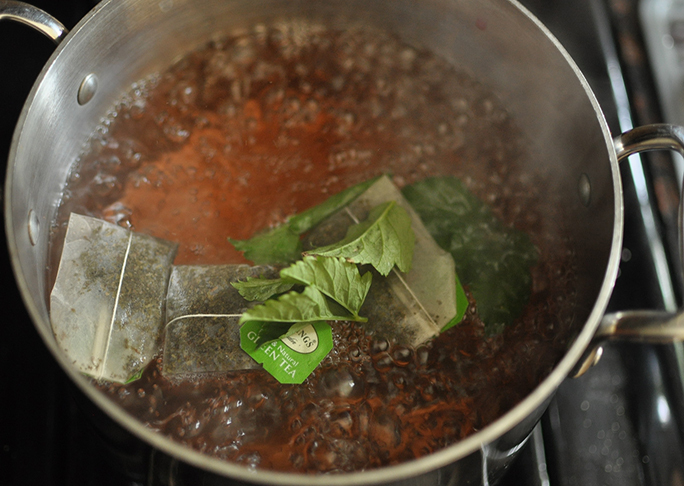 Allow the tea to reach room temperature, then transfer to a pitcher, cover, and refrigerate until cold. 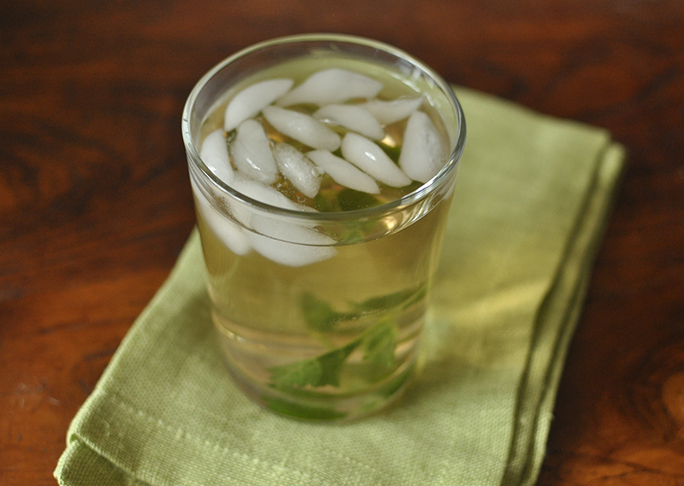 Serve in a tall glass with ice and a mint sprig for garnish.